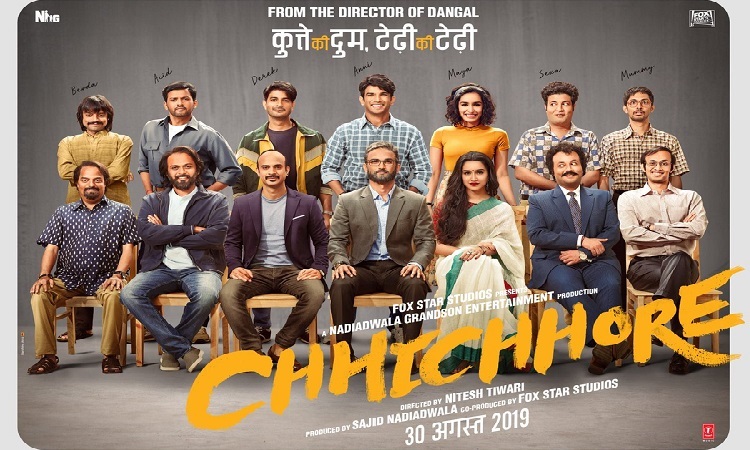 Starring Sushant Singh Rajput and Shraddha Kapoor in the lead role, Chhichhore is set in an engineering college and sees the duo age from college-goers to middle-aged characters. "I spent four years of my student life in the IIT-Bombay hostel, where giving everyone nicknames that ranged from conventional to weird is a kind of a tradition. While Aniruddh would become Anni and Sandeep was Sandy, the weird ones were contextual," the director says, adding that it served as inspiration for his characters. "In the film, we have an angsty guy called Acid, another guy who misses his mother a lot is called Mummy." The trickiest thing about these nicknames, Nitesh points out, is that they tend to stick for life. "I still call my college friends Guppa, Gucci, Puke, B-Zero, Dard Kumar, Skinny, Bhindi, Danda," he laughs. Moving on to his more conventionally-named leads, Anni and Maya, the filmmaker says that casting them was challenging as they were required to look convincing before and after the time-leap. "Sushant and Shraddha are phenomenal actors. And fortunately for me, Sajid sir (Nadiadwala, producer) understands the creative vision of his director. We had long chats about the protagonists. He was happy to see Sushant and Shraddha as Anni and Maya as this is also the first time they have paired up on screen," Nitesh reveals. He further informs that the entire film is based and will be shot in Mumbai. "I prefer to shoot in real locations, so the portions set in the engineering college will be filmed on an actual campus," he informs. The filmmaker has put in extensive research for the film, he shares. "The looks have been designed by Preetisheel (Singh, prosthetic and makeup artist), whose work I really like. For her reference, I shared snaps of my friends from college days to present-day. The biggest challenge was getting all the characters in the film to age differently with time. So, everything was planned thoughtfully, and she has executed them with a lot of finesse,"